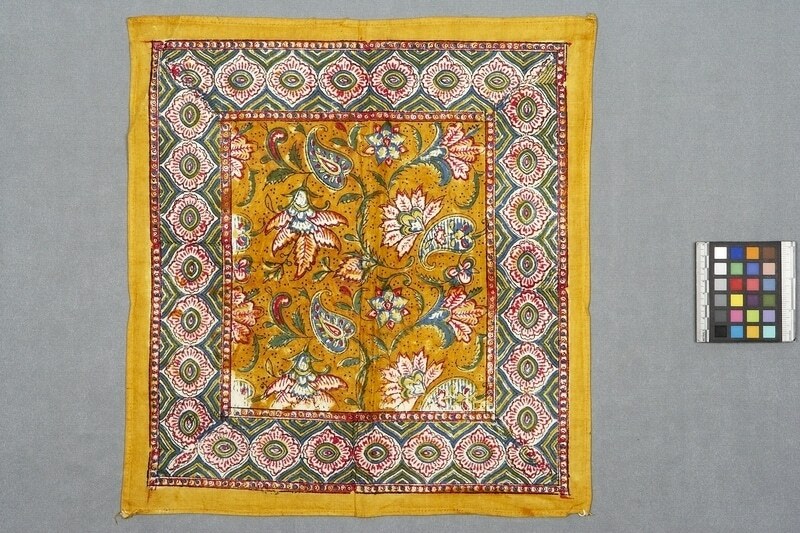 Square textile with designs. 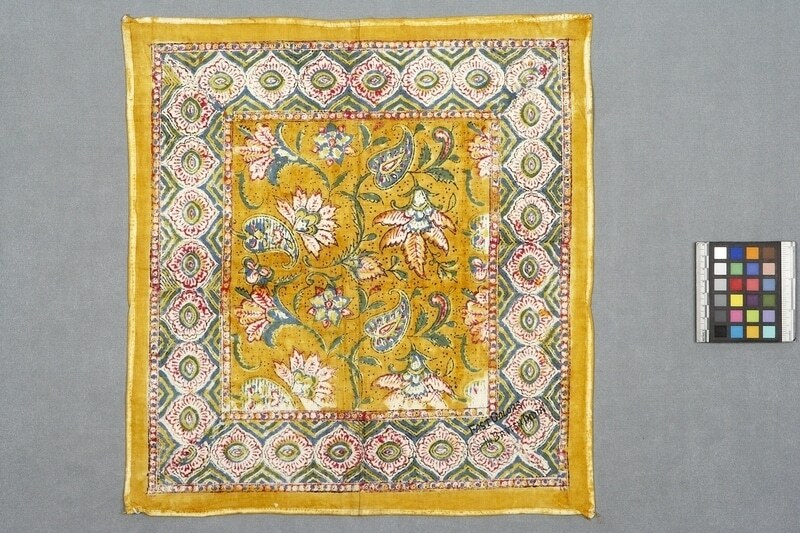 In the centre panel are floral designs in blue, red and white on yellow ground. Around the panel is a wide border with large floral motifs, surrounded by blue, green and yellow lines. There is a yellow band around the edges. There is a stamp on the back: "Fast Colors, Made in British India". Underneath the text the word “Best” is stamped in light grey.